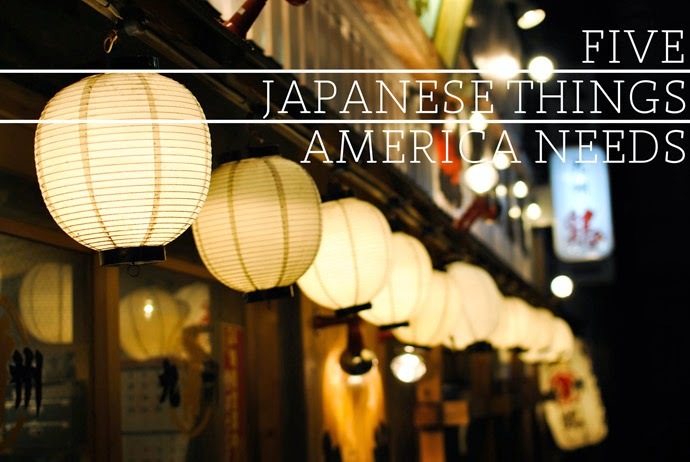 I didn't plan on writing about this today, or at all really, but I was thinking about Japan a lot today and nostalgia hit me hard. I loved our time in Japan and can't wait to go back one day soon. There are a lot of places I want to travel to, but I am certain I will make it there again. I cannot believe that we don't have these in the United States already. It is quite amazing how advanced Japan is with some things. Holy moly. We would not have been able to see as much of Japan as we did without the convenience and efficiency of bullet trains. When you can travel at speeds up to 200mph, it definitely makes a difference in your exploring experience. Granted, train rides can be expensive (for Japanese citizens, that is, since visitors like us can get passes at a fraction of the price), but it would be amazing to travel around the United States like that. 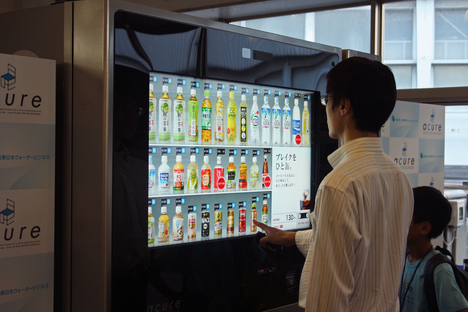 Have you ever seen a Japanese vending machine? They are crazy. The first time I saw one, I was in the airport on my way to the bathroom at 4am, and I just stopped and stared at it for a while. I'm sure my eyes got all big in its glowing light as I just stood there admiring it. 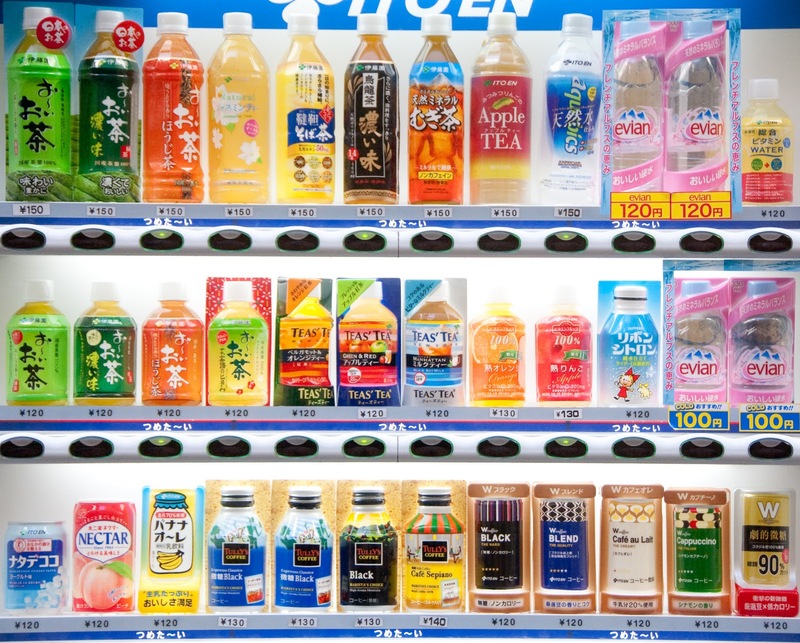 Japanese vending machines make everything just look so desirable. I don't give vending machines a second thought here, but in Japan, it is just so fun to look at everything and pick a drink or snack for your travels. They can be found literally everywhere and some even have touch screens! So high tech. Also, a lot of them offer cold and hot drinks, hot foods, ice cream, and other snacks. Here are some photos so you can understand what I mean (one, two, three). These are mainly an advertising gimmick, but hey, I'll take free tissue packets! There are people on busy streets, at the bottom of escalators, really everywhere, handing out free little packets of tissue because Japanese people are just that thoughtful. They seem silly, but it was actually really nice not to have to worry about not having any tissue incase I had a sneezing attack or needed to dispose of my gum. Just think, the world would be a little kinder if everyone gave out free, considerate things. For whatever reason, people in Japan take their convenience stores very seriously. They are open fairly late and sell just about everything you could need at a moment's notice. You can get whole meals here that are actually pretty decent and Dai is definitely a huge fan of that part. I will admit that these stores came in handy and it would be nice to be able to buy more at convenience stores here than just beer and hot dogs. Visiting Japan made me realize just how much we Americans drive. We seriously drive basically everywhere. Sure, sometimes we need to out of convenience or if we live in remote places, but it really amazed me how people in Japan mostly walk, take public transportation, or bike wherever they need to go. I have never walked as much as I did in Japan in my entire life. And I actually kind of liked it. Bikes, though, seemed like an especially good idea and I loved seeing everyone whiz by on their wheels. Plus, most bikes have cute little baskets and that's just awesome. Are there things from other countries you wish you had in your country? i would add, JAPANESE TOILETS! ^__^ haha but i agree with everything in this list! thats what i said too! haha this post is so cute.. apparently we need those here in Macau! Um, I would want all of these! YES PLEASE. my brother recently came home from a trip to japan and told me about their vending machines! so cool!!! i LOVE THIS! and I totally, 100% agree with it, especially vending machines. And those driving mirrors for blind corners! So funny... The washlettes, not the traditional ones! They are so cool! It is such a simple idea, but I don't know why they are just so awesome! True! Those mirrors do come in handy! for sure! :'D HAHA i had to use a squat one in Ishigaki and it was a nightmare! I am totally surprised that we don't have bullet trains as well with as fast as we are always trying to get places!